My car told me I had a flat tyre the other week. That’s how sophisticated they’ve become – before you’ve even felt anything, the computer explains loudly and clearly that you need to do something about your tyre. And they don’t just tell you once. They tell you again and again. But on this occasion, I decided I knew better than the computer – my last SEAT was a little trigger happy when it came to notifying me of issues, so I became convinced that there was nothing to worry about. So I ignored the warnings. For days and days and days. Until the other day, when I started hearing a bad noise driving along with the window open. Which is when I admitted my pig-headedness, and took it to the dealership to get fixed. And this is the same of many business owners. Their accounts are giving them a warning light, and they keep going on regardless, because they know the market better, they think/hope things will get better and they don’t take the steps they need to. I had a client in Newbury who rang me up one Tuesday afternoon and said that he had to close the business, that there was no more money, and we would have to make the staff redundant. So I went through the process with him on the phone. He was unusually quiet. And at the end of my explanation of process and costs of redundancy, he said quietly again “No, when I mean there is no money, there is NO money”. There was none at all. None to pay notice periods. None to pay redundancy pay. None to pay me. A situation like that does not come out of nowhere. Being a business owner myself, I know what information you have access to. He had been deliberately ignoring the warning signs, thinking he knew things better, and it ended badly for him, but even more so for the 5 staff who were out of a job after working faithfully for him for over 6 years. 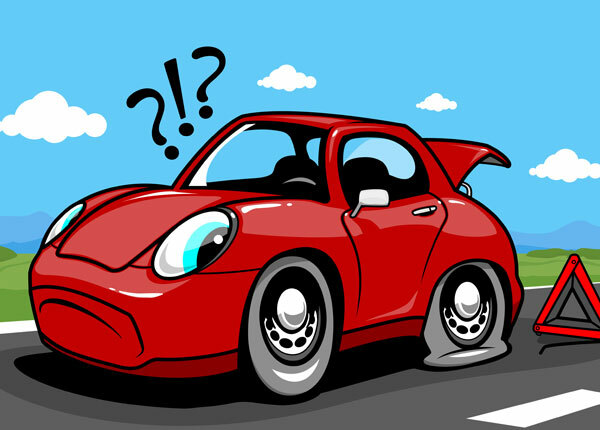 Don’t ignore the warning signs and keep driving around on a flat – you’ll end up doing far more damage!